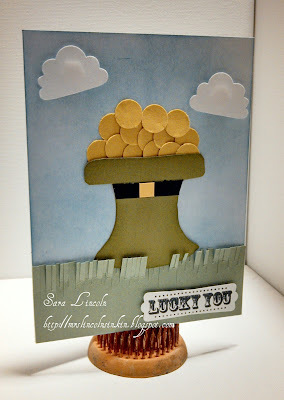 Mrs. Lincoln's Inkin: Lucky You!!!! Hello everyone, welcome!! A quick St. Patty's Day card today that i made using my paper snips and 1/2" Circle Punch. 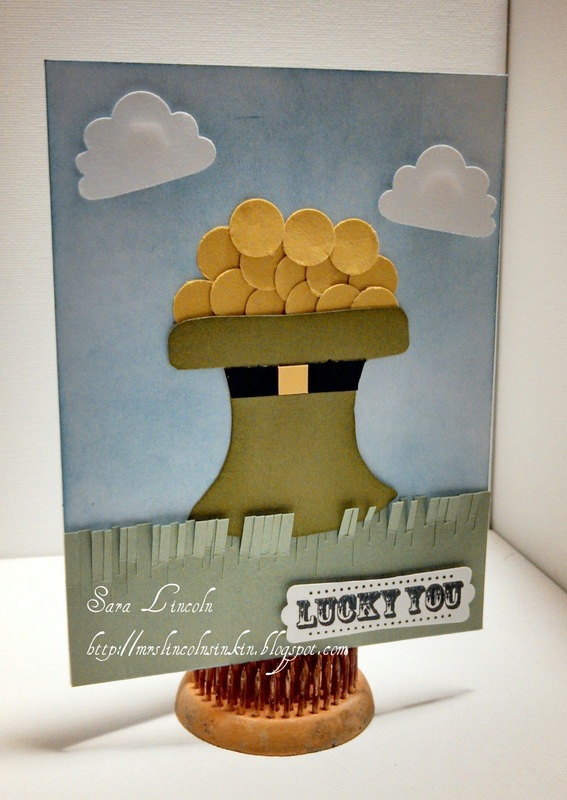 To do this card i used my Paper Snips and free handed a hat made out of Old Olive Card Stock. Then, i punched out some "gold" using my Summer Starfruit and placed them all on (in) the top of the hat. I accented the hat with a Black belt using Basic Black and a small free handed square of Daffodil Delight for the buckle. I used my Tim Holtz Foam Applicator's and brushed on some Bashful Blue ink for my sky and then took the cupcake topper from the Cupcake Builder Punch and used them for clouds! The sentiment that i used is from the retired stamp set Afterthoughts. I still love using sets though that aren't available anymore... i hate that they just sit on a shelf! !